Have you ever wondered what the resale value of installing a new front door is? When it comes to selling your home, you will want it to be in tip-top shape to get the most out of your investment. One of the best ways to make a good impression is to have a beautiful, efficient and reliable front door. 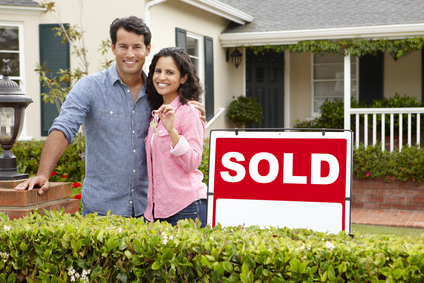 Spring is home selling season and many people will be on the home hunt. So how can replacing your front door impact the resale value? Let’s take a look. Replacing your front door with a beautiful, custom front door will give the buyer the perception that your house is worth more money. On the upside, it can actually cause appraisers to increase the value of your home, too. Having a new front door will make your house feel more welcoming and more secure. Buyers will definitely take note of this beautiful addition to your house. With just a small investment on your end, the impact can be huge. To a new buyer, curb appeal is important. After all, it is the first impression that the buyer will get of your house. Having great curb appeal will help sell your house. The impression that your house will give to potential buyers and real estate agents will largely depend on the condition of your front door and potentially your garage door if you have one. Installing a custom door is one of the best ways to increase the luxuriousness of your house. After all, it is the focal point for those entering your home. Potential buyers often associate the quality of a home with the materials that can readily be seen, and there is nothing more visible than entering a house through a doorway. When you add a luxurious doorway, it is a wonderful way to build up the feel and value of your house without completely emptying your wallet. If you take a peek around your neighborhood you may notice that many of the houses have the same front door. This is because they are often part of a pre-planned neighborhood and are all given the same style of door when they’re built. As a home seller, you’ll want your house to stand out in the neighborhood. If your door looks like everyone else’s, getting your house to be memorable will be hard. A simple, quick solution to this is to change your front door. Painting your home can cost too much and it’s hard to personalize windows. Adding a custom-made door is the easiest and best way to show that your home is unique and worth buying. As we have mentioned above, upgrading your front door can increase the value of your home. It instantly improves the appearance of your home too. One fear that many homeowners have when making upgrades is recouping their investment. After all, there are some home improvements where a homeowner does not make their money back. But if you install a new front door, chances are likely that you will recoup your investment while increasing your home’s value. A new front door means new materials and secure locks, which adds a new level of home security. It will make potential buyers feel more secure with their purchase. Adding a new door can also increase energy efficiency as well. Getting your house ready to sell can be a stressful time and you may be second guessing your choice to replace your front door. However, choosing to replace it can reap benefits for you and your new buyer too. Contact us today or browse our doors here!